Cruelly deceived, Bess is cast out onto the streets of the wicked city - and by nightfall her ruin is already certain. What matters now is her survival of it. In that dangerous underworld known in thieves' cant as Romeville, she will learn new tricks and trades. And all begins with her fateful meeting, that very first night, with the corrupt thief-taker general Jonathan Wild. But it is the infamous gaol-breaker, Jack Sheppard, who will lay Romeville at her feet . . . Drawing on the true story that mesmerised eighteenth-century society, the acclaimed author of The Long Firm delivers a tour de force: a riveting, artful tale of crime and rough justice, love and betrayal. Rich in the street slang of the era, it vividly conjures up a murky world of illicit dens and molly-houses; a world where life was lived on the edge, in the shadow of that fatal tree - the gallows. Bawdy and rich with vivid evocations of the past . . . 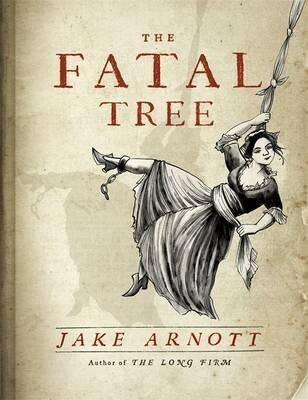 The Fatal Tree is Arnott on beguiling form, with the libidinous Bess a wonderfully multifaceted character. Who would have thought that a cult crime writer would become the Daniel Defoe of our day? Welcome to Romeville - where mort or cove, if you would not be a cull, you should be peery of jades and prigs and especially of the prig-napper.